The historic Trump-Kim Summit will be held at Sentosa Capella Hotel on 12 Jun. Part of the Orchard area, location of prestigious hotels like Shangri-La and St Regis, are marked ‘special event areas’. Heightened security could slightly disrupt activities (hotels, gaming) in the gazetted areas but the historic event sets SG up for future success to hold global summits. Visitor arrivals/visitor days for Mar 2018 were up 6.6%/ 8.6% y-o-y. Industry RevPAR was up 6.2% y-o-y in Mar 18 and +4.2% YTD. We think hospitality, services and office (multiplier effect) are the three broad themes to think of Singapore beyond the Summit via CDL Hospitality Trusts, Genting Singapore, DBS, CapitaLand Commercial Trust and Keppel REIT. We think the heightened security measures in the gazetted areas (Sentosa Island and Orchard area) could slightly disrupt hotel occupancy and footfall over the 4-5 days of the Trump-Kim summit. Conversely, overall visitor arrivals should increase from delegations, security entourages and > 3,000 reporters. Every tourist to Singapore spends an average 3.5 days and contributes c. S$1,500 to overall tourism receipts (TR). 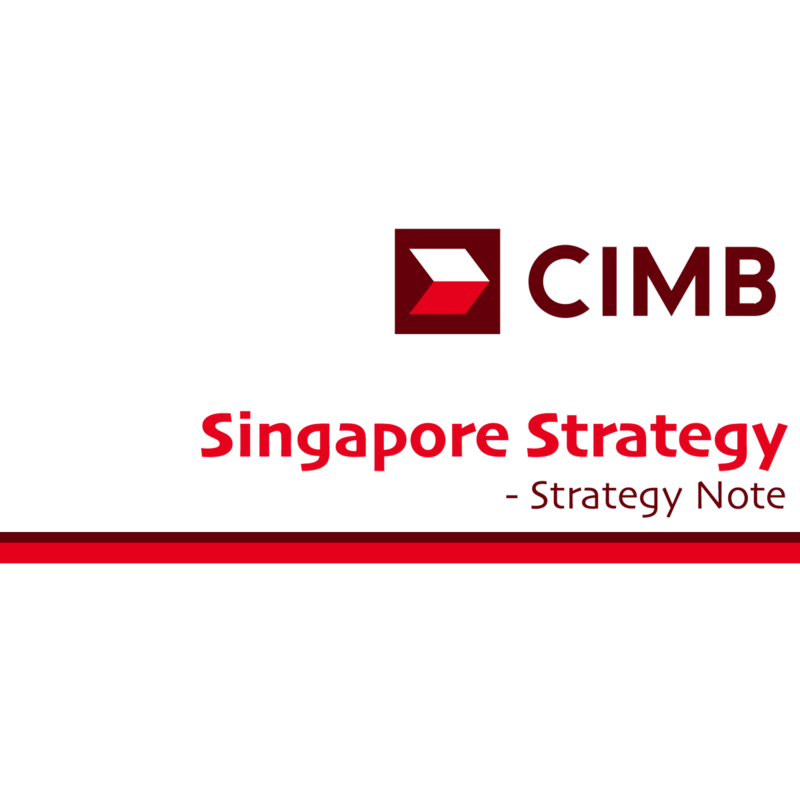 This unscheduled event could be handy to STB’s 2018 target of S$27.1bn-S$27.6bn (+1 to 3%). Our channel checks with the hospitality S-REITS suggested that hotel bookings have not shown significant increases/cancellations ahead of the Summit scheduled for 12 Jun. CDL Hospitality Trusts’ Orchard Hotel and Genting Singapore operate within the Summit’s gazetted boundaries. Other Orchard hotels and retail REITS’ operations that are not bounded by the gazette are Far East Hospitality Trust’s The Quincy Hotel and Hotel Elizabeth, Ascott Residence Trust (Ascott Orchard), OUE Hospitality Trust (Mandarin Orchard), Starhill Global REIT (Wisma Atria and Ngee Ann City) and SPH REIT (Paragon Shopping Centre). Singapore Tourism Board (STB)’s Mar 18 statistics reported 6.6%/8.6% y-o-y increases in visitor/visitor days. Average length of stay remained stable y-o-y at 3.3 days. Overall visitor arrivals were up 7.1% y-o-y in 1Q18 to 4.63m, a record for a 1Q. Industry RevPAR was also up 6.2% y-o-y in Mar 18 and +4.2% YTD. We see the encouraging statistics as precursors to our industry and hospitality S-REITS RevPAR forecasts of +7% and +5% y-o-y respectively. We expect a +6% y-o-y visitor arrivals in 2018, while STB has conservatively forecast a range of between +1 and +4% to 17.6m-18.1m. The Trump-Kim Summit reaffirms Singapore as a preferred choice of venue for a high-profile global summit and arbitration hub. The last historic meeting was in 2015 between Presidents Xii Jinping and Ma Ying-jeou over the cross-strait issues. The Singapore International Arbitration Centre (SIAC) has seen a 32% y-o-y jump in new cases in 2017 involving S$5.3bn. SIAC is ranked the most preferred arbitral institution in Asia, and the 3rd most preferred arbitral institution in the world, after London and Paris. The historic summit between US President Donald Trump and North Korean leader Kim Jong Un will take place at the Capella Hotel on Singapore’s Sentosa Island at 9 a.m. on 12 Jun 2018. The Ministry of Home Affairs has gazetted parts of Orchard and Sentosa Island (including the linkway as well as waters off its south-west beaches) as enhanced special event areas for the period 10-14 Jun. Media sources estimate that more than 3,000 journalists are expected to attend the event. This excludes government delegates and security entourages. We categorise the Trump-Kim Summit as an unscheduled BTMICE event - Business Travel and Meetings, Incentive Travel Conventions and Exhibitions. The BTMICE is a type of tourism in which large groups, usually planned well in advance, are brought together for a particular purpose. Singapore is not the cheapest place to host a BTMICE event, but it remains a key hub for these events because of its abundance in relevant space and excellent infrastructure and air links. For the first three quarters of 2017, total receipts for the BTMICE industry grew by 4% y-o-y to S$3.15bn, according to STB statistics. For the full year of 2017, overall tourism receipts rose 3.9% to S$26.8bn on the back of firmer visitor arrivals across all its top 10 markets and higher visitor arrivals from high-spending markets such as China, South Korea, US and the UK. Visitor arrivals rose by 6.2% to a record 17.4m in 2017. STB expects total tourism receipts to grow by 1-3% in 2018 to reach S$27.1bn-S$27.6bn, based on the events in the pipeline. Against a relatively favourable global macro backdrop, overall tourist arrivals rose 7.1% y-o-y in 1Q18 to 4.63m, a record for a 1Q. We believe the Trump-Kim Summit will likely add more visitors to the 2Q arrivals. Industry RevPAR was also up 6.2% y-o-y in Mar 18 and +4.2% YTD. We see the encouraging statistics as precursors to our industry and hospitality S-REITS’ RevPAR forecasts of +7% and +5% y-o-y respectively. We expect +6% y-o-y visitor arrivals in 2018, while STB has conservatively forecast between +1 and +4% to 17.6m-18.1m. We maintain our Overweight stance on the hospitality sub-sector on the back of tapering-off supply in hotel rooms. While the 2018 Trump-Kim Singapore Summit can be regarded as the most exceptional and unscheduled BTMICE event of 2018, it can also be viewed as an ‘arbitration event’ in the broadest sense, where two parties meet in Singapore to ‘solve an argument’ and ‘agree to an acceptable solution’. This bodes well for Singapore’s role as a service hub that provides ‘international arbitration services’, thanks to the city-state's reputation for integrity and the rule of law. According to the Singapore International Arbitration Centre (SIAC), Singapore's arbitration flagship, there were a record 452 new cases filed in 2017 from parties in 58 countries involving S$5.3bn, a 32% jump from 2016, and more than five times the number a decade ago. According to the latest international survey, SIAC is ranked the most preferred arbitral institution in Asia, and 3rd out of the top 5 arbitral institutions in the world, after London and Paris, and ahead of Hong Kong, Geneva, New York and Stockholm. Last Jul, the Singapore Ministry of Law and the Permanent Court of Arbitration (PCA) announced that the PCA will set up a staffed office in Singapore to administer PCA hearings held in Singapore and Asia. PCA is an intergovernmental organisation located at The Hague in the Netherlands. The PCA is not a court "in the traditional sense" but provides services of arbitral tribunal to resolve disputes that arise out of international agreements between member states, international organisations and private parties. The Singapore office (currently in Maxwell Chambers) is the PCA’s first office in Asia, and the second outside its Hague headquarters. A new larger office (the former Red Dot museum at Maxwell Rd) is currently under renovation, and it will provide the Singapore base from which the PCA can better serve the growing number of dispute resolution needs of states and businesses in fast-growing Asia. In the longer term, we see multiplier effects from increased demand for business services (c. 13% of GDP), mainly in legal/consultancy services as well as office/ co-working space. In 1Q18, Reed Smith added 15,000 sqft of space at Ocean Financial Centre, while Baker Mckenzie expanded 7,000 sqft in Marina Bay Financial Centre Tower 1. Our property analyst, Lock Mun Yee, expects office rents to rise by 10% y-o-y in 2018 on lower new supply of office and business parks space amid higher demand. Our preferred picks are Keppel REIT (Rating: ADD, Target Price: S$1.34) and CapitaLand Commercial Trust (Rating: ADD, Target Price: S$1.94). CDLHT’s Orchard Hotel is within the gazetted boundary of the Summit but we think the very short-term impact on hotel occupancy is negligible to the REITs performance. CDLHT remains as our top pick as a proxy to the recovering SG hospitality market. There could be very short-term positive spill- overs for two FEHT-run hotels in the Orchard area - The Quincy Hotel and Hotel Elizabeth - which are outside of the gazetted boundary.